Ideal for use with satellite receivers, Sky, Sky HD, Freesat etc and Virgin Media / HD. 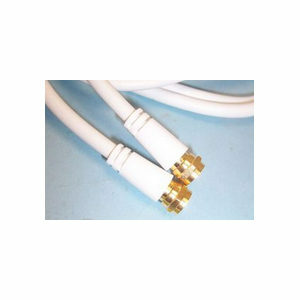 High quality twin satellite cable, dual RG6 coax. Double screened, braid and foil screen. Foam filled. Length 10m Ideal for LNB dish connections on Sky, Sky Digital, Sky+, Sky HD, Freesat and other satellite receivers and cable TV systems. Colour black.